José Pinto is a Researcher and Assistant Professor at the School of Engineering from Porto University. He has received his Diploma Degree in Computer Science from the Faculty of Sciences and a MSc Degree in Computer Engineering at the School of Engineering (both from Porto University). He started conducting research in Autonomous Vehicles back in 2005, when he joined the Underwater Systems and Technology Lab. There he has helped developing the LSTS Toolchain composed of Neptus, IMC and DUNE. 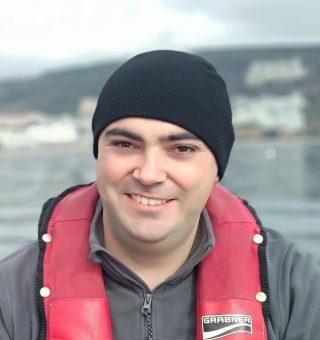 He has been at sea numerous times operating multiple AUVs / ASVs / ROVs and is currently responsible for onboard autonomy and planning. His areas of interest include multi-vehicle planning and coordination, onboard autonomy, scientific applications of autonomous vehicles and human-robot interaction. Besides working, José Pinto also likes traveling, eating strange foods, hiking, and retro gaming.